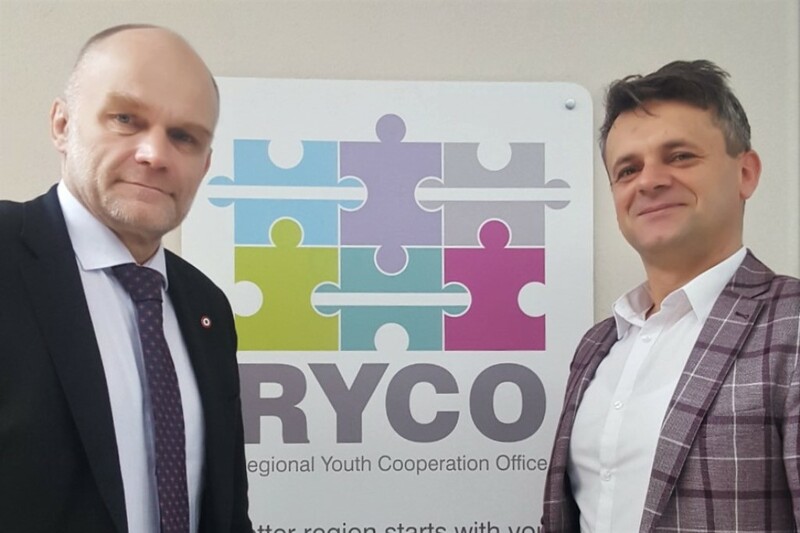 TIRANA/SKOPJE – Member of the French National Assembly Mr Frédéric Petit met with RYCO Secretary General and Deputy Secretary General, Mr Đuro Blanuša and Mr Fatos Mustafa, in Tirana on Thursday when they discussed RYCO’s work and cooperation with France. 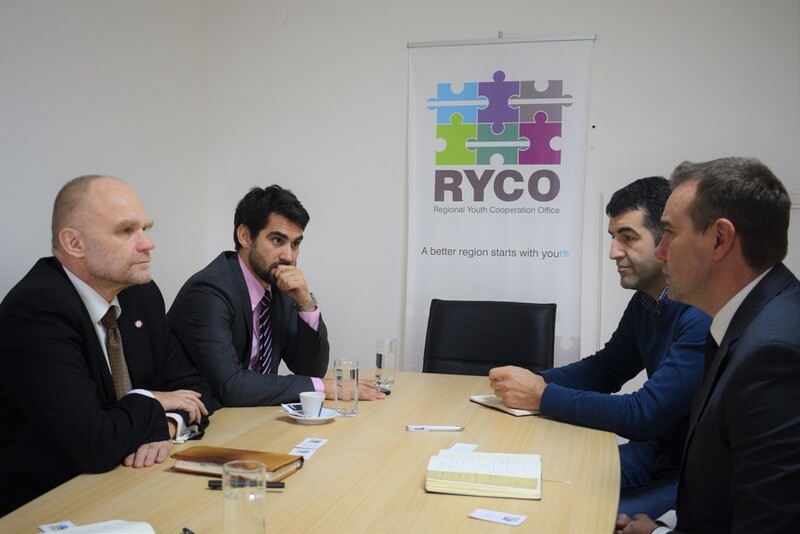 Mr Petit also met with RYCO Local Branch Officer in Macedonia Mr Albert Hani the day before. RYCO high officials briefly presented RYCO and its ongoing activities by underlining the cooperation with the French Government and organizations. Mr Blanuša pointed out that the current statistics show high ethnic distances between the youth of the Western Balkans and that RYCO with its work aims to change and lower these numbers. He said that the main purpose of RYCO is to bring the young people of the region together as their cooperation is a prerequisite for genuine reconciliation in the region. RYCO Secretary General informed the counterpart that the first RYCO Open Call for Project Proposals is being considered as a success by pointing out that the organization expects to have more than one thousand young people exchanged within the 33 RYCO supported projects. He also presented other instruments of RYCO such as capacity building and advocacy activities. Moreover, Mr Blanuša underlined that administrative barriers such as visa regime between some of the RYCO Contracting Parties are discouraging the young people to travel around the region and pointed out that the mainstream political narratives are not supportive for cooperation but that they support, on the contrary nationalism and extremism in the region. He concluded by reiterating the fact that reconciliation in the region should not be understood only as the absence of war. Mr Petit pointed out that his work is strongly related to the region of the Western Balkans and underlined that the EU integration process is important but a formal process in the region. On the other hand, he considers the reconciliation as even more important process which represents the ground for building democratic societies in the region. The Member of the French National Assembly stressed the need to include other countries from South East Europe such as Croatia, Slovenia and Greece in the reconciliation processes and presented his ideas for cooperation endeavors between the Western Balkans six and the five EU countries.